When Natalie originally started this blog, she named it Normal to Natalie so that the world could see what is "normal" to her on a daily basis - how our lives really are in regards to our kids, work, faith, etc. This new journey we are on with Natalie has really made me think about what is "normal". As Christians, we are called to be a part of this world, but different from the world. As Romans 12:2 in the NIV Bible says, "Do not conform to the pattern of the world, but be transformed by the renewing of your mind...". We are to be transformed through God and by God, not be transformed by what the world tells us or wants from us. Yet circumstances love to come about that make it hard to continue that constant transformation process. And a lot of times the circumstances are far beyond our ability to overcome (in our case, cancer), and can make us question our faith, our love, our strength...ultimately our will to live. So how ARE we doing? As mentioned in previous posts, we get asked this question a lot. And no fault of their own, I know they mean well, and hey...people just may not know what else to say. And we don't mind talking to people about it. But we just don't necessarily have an answer. Our first response (well...at least MY first response) is usually "fine", or "good". I just don't know what the person is wanting to truly know. I mean, I honestly haven't slept good in 6 or 7 months. I STILL wake up at night to check on my wife, sometimes even waking her up in the process because I am checking for pulse or breathe. Most days, I feel like I am in a fog, which I can overcome this with copious amounts of caffeine and prayer, but how do I tell someone how I am? As father and husband, I am to encourage and lift up my family in prayer on a daily basis, and trust me...I have. Probably more than I have the previous 8 years I have been a father, and the previous 11 years I have been a husband. But why now? Why does it take a hard circumstance? Why wasn't I acting this way, praying this way, before this new journey? Why does it take hitting bottom for us to figure out a way out? What are we afraid of? I am reminded of what Colossians 3:2 says in the Message version of the Bible - "Don't shuffle along, eyes to the ground, absorbed with the things right in front of you. Look up, and be alert to what is going on around Christ - that's where the action is. See things from His perspective." Proverbs 4:23 - "Keep vigilant watch over your heart; that's where life starts"
Romans 12:1-2 - "...Take your everyday, ordinary life - your sleeping, eating, going-to-work, and walking-around life - and place it before God as an offering. Embracing what God does for you is the best thing you can do for Him. Don't become so well-adjusted to your culture that you fit into it without even thinking. Instead fix your attention on God. You'll be changed from the inside out. Readily recognize what He wants from you, and quickly respond to it. Unlike the culture around you, always dragging you down to its level of immaturity, God brings the best out of you, develops well-formed maturity in you." So normal to us is a little different now, and I really don't know how we are doing most days. 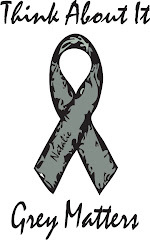 Well, I now know the definition of oligoastrocytoma, and as I mentioned before, I know that grey is the color of brain cancer. I still work at Sewell and am getting used to the long hours, even though it is hard most days. 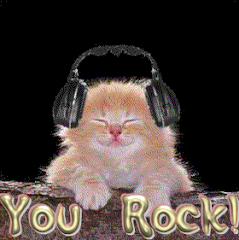 And I am thankful for my family and my friends. And normal for Natalie is now making sure the kids stay on a routine even though most day she doesn't feel like she wants to. She really is a hero in my book for all that she does when I am not around (which is a lot recently, it seems). I am far from perfect, nor do I try to be. And unfortunately it did take this circumstance for me to try to be a better father and husband. But all I have is now, all WE have is now. I don't want to shuffle around, in a fog. So I will take this opportunity to look up. I love how my kids get these crazy ideas and dreams in their heads and get so excited that they don't even notice all of the obstacles. James has been watching and helping Kirstyn and I make some t-shirt scarfs for her to sell for the Imagine 320 project at church and he has been helping me around the house to earn money for his 320 Piggy Bank. I've enjoyed all the extra help getting the clothes out of the dryer just by planting a dime or penny or two per load. Well, today on the way home, James saw a coke can on the side of the road. He screamed at me to stop the car... he wanted to jump out and get it and ride the rest of the way home in the back of the 4Runner. He starts telling me all about how when he was at Pappy's (my dad) house, he got to run down the dirt road picking up yucky cans, throwing them in the back of the truck, and then ride on the tailgate until they saw another one. Then he tells me how when Pappy gets lots and lots of cans he sells them for money... He needs to do that too for his Piggy Bank cause sissy is selling shirt scarfs! I told him he couldn't ride around in the back without his car seat and seat belt in the city of Arlington, but that I could do a post on Facebook asking our Arlington friends to save their cans for a week or so. Then, we could collect them from their houses and I would take him to the scrap metal place and he could make his money for his bank. I'm so thankful to Jesus for trusting David and I with these kids. So glad that they continue to dream BIG! Now, I'm Imagining ALL of the BIG things Kirstyn and James will do that have an ETERNAL impact! First I have to say that God gave me Kirstyn to do everything from test me to challenge me. She is just as girly as they come making her very opposite from me. I actually decorated her room in Raggedy Ann and Andy so that it would be primary colors and not pinks *sigh*. At least she still loves it! She is also very artsy fartsy... I blame my sister for those genetics. I mean, I have a degree in Software Engineering and Math while David has an MBA in Finance. Kirstyn wants to grow up and be a rock star or a famous dancer and maybe a painter (yes we have been praying for her future husband since before she was born!). At church we have started something called Imagine 320. Eph 3:20 says, "Now to Him who is able to do immeasurably more than all we ask or imagine according to His power that is at work within us." Essentially, it is a ministry initiative as our response to God's challenge to "throw off everything that hinders us"... and for our church that is debt that needs to be paid off! I was selfishly sitting there thinking, God you will have to do this, especially in our lives. We can barely pay our bills right now and when you add in my doctor co-pays and the $300 a month that I have to spend on prescriptions I just start to get frustrated with how tied down I feel by my cancer diagnosis! Sunday, the guest pastor Dr. John Bisagno preached a challenging sermon about what growing churches are doing... At the end, he had all of the Middle School and High School students stand up, then he did something unexpected.... He pulled out a huge stack of $5 bills and started handing one to each student! He then paraphrased the parable from Matthew 25 and challenged the kids to turn that $5 into as much as possible and bring it back to the church (also with the promise of a prize from him for the teen with the biggest return). She looked at me and said, "How much is yarn?" I told her around $2. She said, "Will you give me $5 to turn into more?". I said, "Sure. What's your plan?" "I can buy yarn, crochet MeMe a scarf (she's had 2 lessons), and then sell it to her for $20...cause even if it isn't that great she will love it and buy it. Then I will have $23 to bring back to church." I said, "Great idea baby, and you sure know your MeMe." "And actually, I could buy more yarn and make another scarf and sell it to DeeDee!" This smart girl that actually may grow up to do amazing things in the business world! Either way, she is sure to make an ETERNAL impact for her Jesus! I've been really praying about this and trying to think of some way to help her turn $5 into more without her spending 10+ hours making crochet scarfs... I got on Pintrest on a Mission while she was at school yesterday! 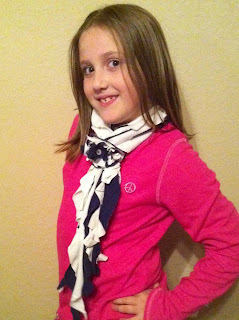 I found a way for her to make scarfs out of old tshirts, fast and easy, and so far for free so she still has her first $5! Watch out friends.... soon she will be selling them!!! (And we would love to take old tshirts off your hands if you have them!) She is so excited and thinks it is just funny that we are cutting up Daddy's old undershirts! I love how big her heart is. I love how she is willing to take on any challenge without worrying at all about all the things that could go wrong in the process. I love how she challenges me to not be so analytical and more creative! I am so thankful that God uses my kid to humble me in the privacy of our home! 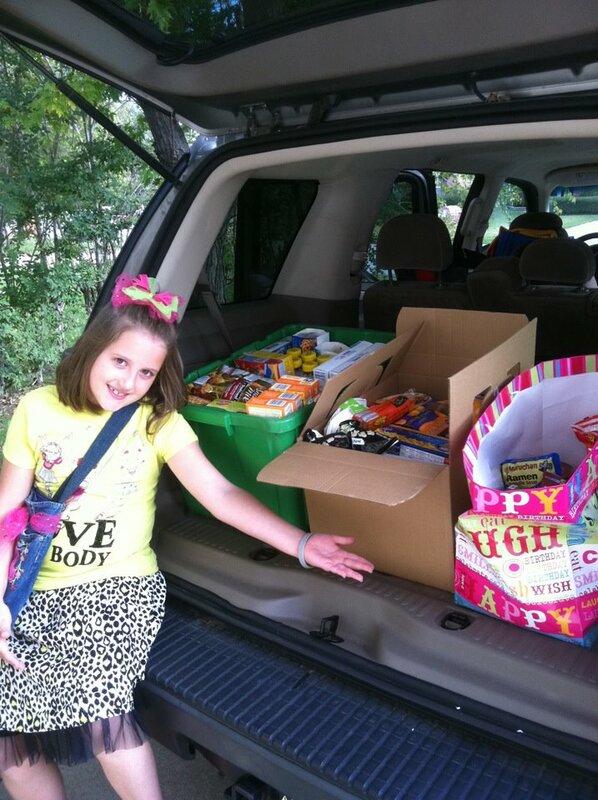 Back in November when Kirstyn turned 8, after a few discussions she decided that instead of just having a Birthday Party and getting presents from her friends like always, she wanted to change things up a bit. (We did tell her she would have to get rid of many existing toys before she would have room for more... I've already mentioned how much her grandparents love her!) Her change.... She asked her friends to bring donations for the Weekend Backpack Ministry at our church! 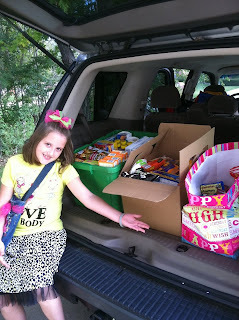 Look at the haul of food that she got to donate! This ministry feeds 86 elementary age children in SW Arlington! These kids have been identified by the counselors as only eating free breakfast/lunch at school but not on weekends. So they take home a backpack of food on Fridays that they return on Monday's. There are 6 children at the elementary Kirstyn attends (we have no idea who)... Food/money is ALWAYS needed to keep this ministry going! I'm so glad that she is 'getting' the bigger picture!!! We serve a Big God and sometimes He uses my little girl to remind me just how amazing He can be when we allow Him to work through us!